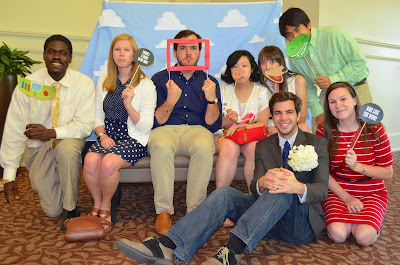 More than 40 Class Advocates (CAs) and Resident Assistants (RAs) were recognized for their contributions to the department during the annual University Housing CA-RA recognition event held on Sunday, April 21. 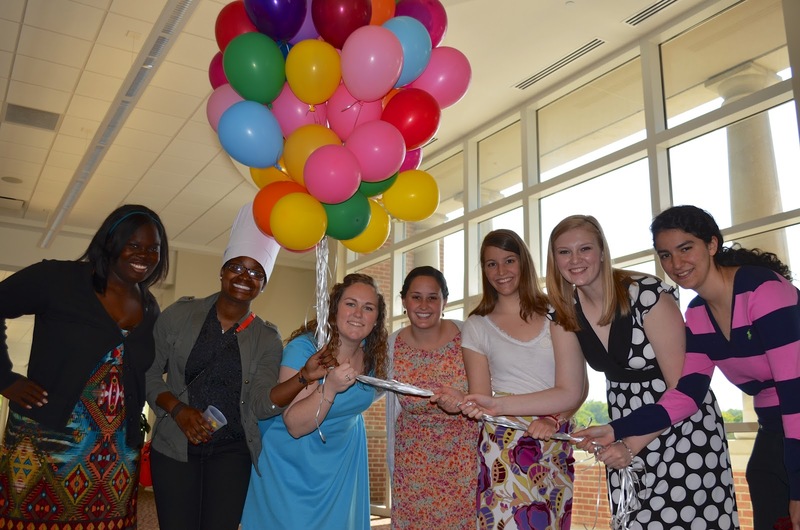 The Pixar-Disney themed event brought some of our favorite Disney characters along to recognize undergraduate students with awards such as the Peer Helper award, the Community Developer award, the I’ll Be There award, the Programmer award, the Motivator award and the Customer Service award. Some very willing University Housing staff members played the part of cartoon movie stars in small movie clips while CA and RA staff members enjoyed popcorn, candy and giveaways. Some of the featured films that inspired the event were Finding Nemo, Wall-E, UP and Monsters Inc.
Toy Story's Woody and Buzz Lightyear a little too well! 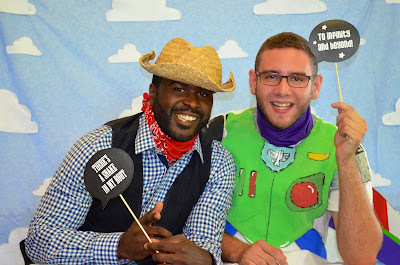 After snapping a few pictures in the Toy Story themed photo booth, attendees were greeted by Woody (Demarcus Merritt, ECV RHD) and Buzz Lightyear (Victor Lopez, Russell GR), who were in attendance as the event’s hosts. Dr. Keener Scott and Dr. Ralphel Smith also provided a few words during the event. In addition to recognizing staff members who go above and beyond in the scope of their positions, graduating seniors and staff members with more than three years of service were acknowledged for their steadfast contributions to Universtiy Housing. A big thank you goes out to our undergraduate staff, as well as the cast members, presenters, committee members and individuals that made this event a huge success. Elizabeth Manual is the graduate resident for Undergraduate Staff Development and a second-year Master's student in the College Student Affairs Administration program.